Closing reception for outsider artist and musician Gina Favano combines elements of folk art, sculpture, and embroidery to create an evocative visual language that is characterized by anthropomorphism, magical realism, and wordplay. Themes of illness, the destruction of the environment, and spirituality found in nature reoccur and intersect within her work. 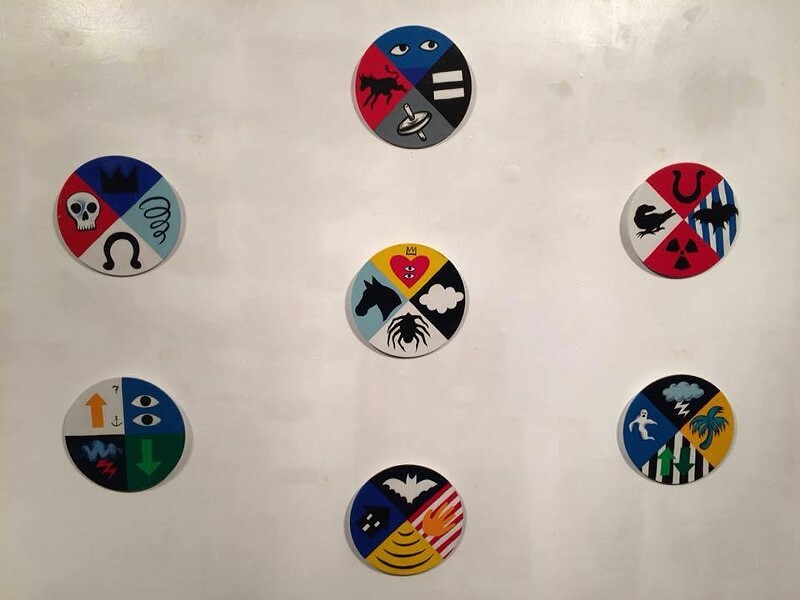 She uses traditional sign-painting techniques to create weather-resistant totems on wood reminiscent of the talismanic imagery of Pennsylvania Dutch hex signs. A koan-like grammar of symbols punctuate her paintings to convey a cryptic shorthand. Favano plays bass and sings in local trio Come Holy Spirit.